Abstract: In this talk I will review the motivation, key challenges and progresses made in the field of optical interconnects for High Performance Computing and Data Centers. I will start by reviewing the driving forces for this technology and the potential benefits it can offer at different levels within such systems. I will then discuss potential physical implementations of such solutions in Silicon and report on some of the key progress made by Kotura and its partners in this area. 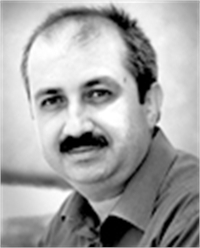 Biography: Dr. Mehdi Asghari has over 15 years of research and product development experience within the silicon photonics industry. Currently Dr. Asghari is the CTO at Kotura Inc, a California based US Company, where he is responsible for technology and product development efforts. Prior to that, Dr. Asghari served as VP of Research and Development at Bookham Inc., where he was responsible for the R&D and manufacturing transfer activities behind all of Bookham's silicon-based technologies and products. Dr. Asghari holds a Ph.D. degree in Optoelectronics from the University of Bath, a M.Sc. degree in Optoelectronics and Laser Devices from the Heriot-Watt and St. Andrews Universities, and a MA degree in Engineering from Cambridge University. He has authored or co-authored over 100 Journal and Conference publications and holds more than 12 patents within the fields of silicon photonics and optoelectronics.